Think of it as a microscopic movie: A sequence of X-ray images shows the explosion of superheated nanoparticles. The picture series reveals how the atoms in these particles move, how they form plasma and how the particles change shape. The movies help scientists understand interactions of intense laser light with matter. But even more importantly, these experiments lead the way to filming various processes that involve ultrafast dynamics of microscopic samples, such as the formation of aerosols — which play a major role in climate models — or laser-driven fusion. Rudenko and Rolles — both affiliated with the university's James R. Macdonald Laboratory — collaborated with researchers at SLAC National Accelerator Laboratory at Stanford University, Argonne National Laboratory and the Max Planck Institutes in Germany. 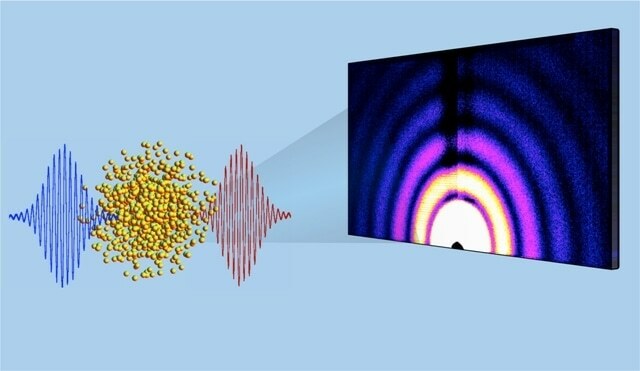 Their publication, "Femtosecond and nanometre visualization of structural dynamics in superheated nanoparticles," appears in Nature Photonics. The James R. Macdonald Laboratory and the physics department are part of the College of Arts & Sciences.